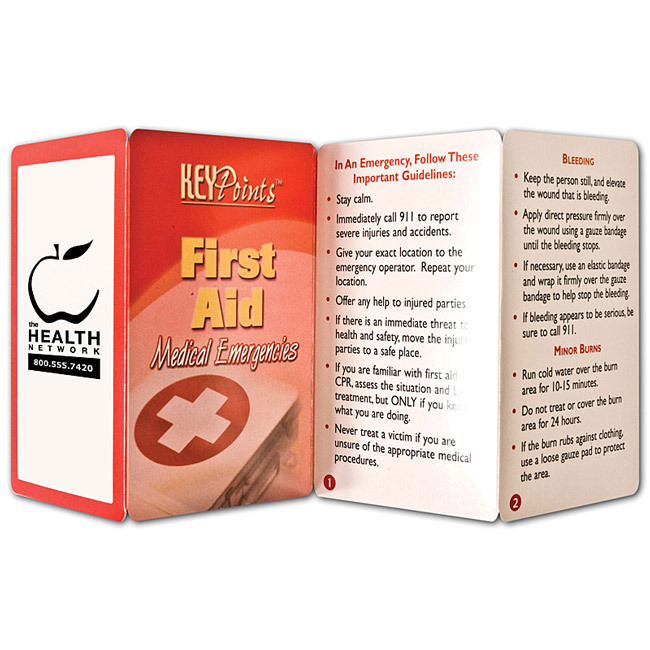 First Aid Guide Fact-filled fold-up guide.Features interesting and informative topics. What do you do for bleeding, burns or choking? Medical emergencies require a cool head and knowing the basics of first aid. Plus a must-have first aid supply list. 8 panels front and back fold to credit card size. Bulk / 28 lbs / 3000 pcs.